The lifejacket inflator is a robust, compact unit used in leisure and commercial activities. The unit offers both manual and automatic inflation facilities, with dual status indication confirming that the inflator has been activated. 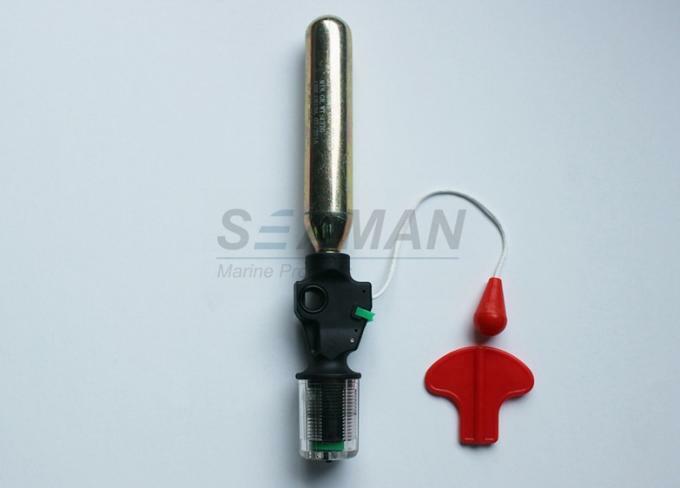 The product is approved in accordance with the EN standard requirement for lifejackets. On entering the water, automatic activation of the unit usually takes less than 1 second and the re-charging procedure is quick and simple. 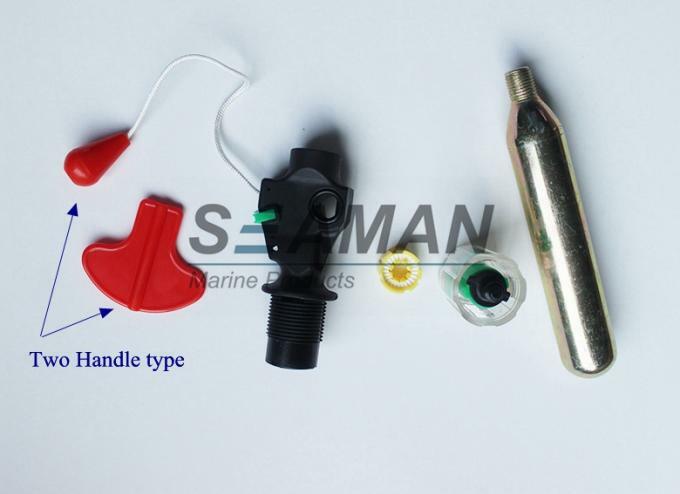 The units are available on demand, with re-charge kits being stocked by most distributors of marine products. 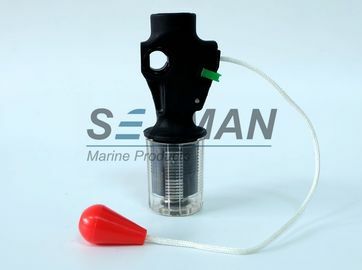 The auto inflator should be assemble with water activate bobbin correctly, screw tight, and connect to the brass valve base tight to ensure gas will not leak. and screw on the CO2 cylinder. High Quality Nylon Plastic, Pin, green indication clip, pull cord, Good quality Spring. 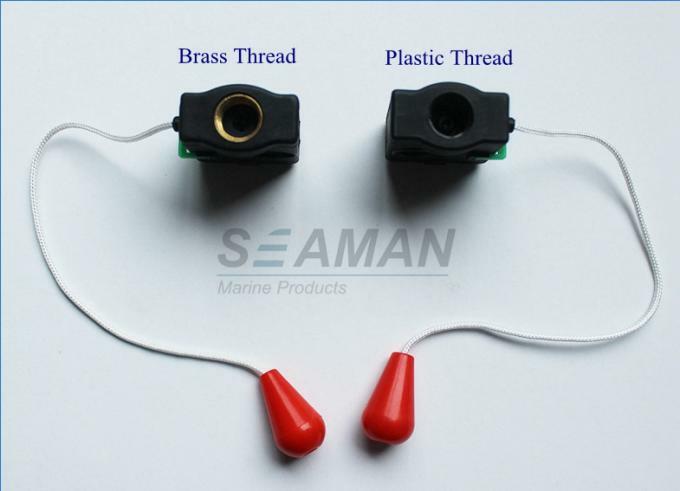 Thread Specification: 1/2" & 3/8"